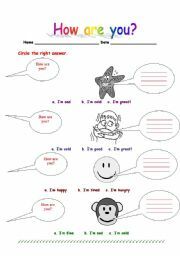 A simple activity to revise various feelings. 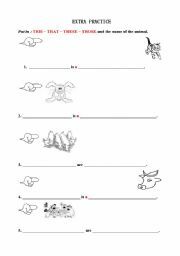 A very easy activity for children to practic this that these and those and vocabulary about animals. To learn and practice new feelings. A nice simle activity my ss really enjoy working with. 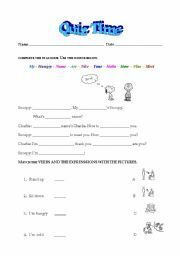 A worksheet for homework or for more practice about asking "What�s your name"? 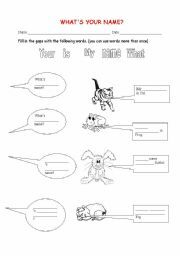 Revision of animal�s name + colouring clipart. 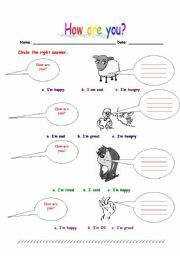 A quiz to test children�s general knowledge about first meeting dialogue, and some actions verbs and feelings you might have taught in first lessons.